Are you wondering what to do with that leftover turkey? This nourishing one pot meal will warm your belly and heart. The trick to a tasty home made stew is to include the skin and bones when making the stock; they contain all of the flavor. If you are on a low carbohydrate diet, just leave out the rice. Place the turkey, water, bay leaf and seaweed and salt into a large heavy bottomed pot or crock-pot. If you are using a large turkey carcass it may not be fully covered by the water. That is fine; it will cook in the steam as long as your lid is tight. Bring the water to a boil, then reduce the heat to a simmer. Covered the pot and cook the meat over low heat for ~ 3 hours on the stove or overnight in the crock-pot. Remove the turkey from the stock with a slotted spoon and allow it to cool to room temperature. Discard the bay leaf. The seaweed should be dissolved into the stock by now but if any pieces remain, dice them and return them to the stock. When the turkey has cooled, remove the meat from the skin and bones. Dice the meat and add it back to the stock. 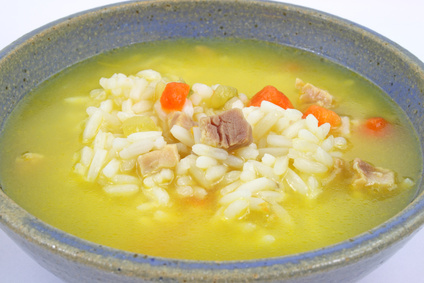 Bring the stock and meat back to a boil and add the rice, onions and celery and dried herbs. Reduce the stew to a simmer and cook it for 30 minutes. Add the carrots and cook for ~20 minutes more. If too much of the water remains you may want to boil the stew uncovered for the last 20 minutes. The carrots and rice will be soft when it is done. Salt and pepper to taste and serve. This stew freezes well. This is a great mashed potato substitute for people who are sensitive to nightshades. Cauliflower and millet are bland so they take on the flavor of anything that they are cooked with. Try this mash with gravy, an herbal pesto or just melted butter. Bring 3 cups of water to a boil in a large pot. 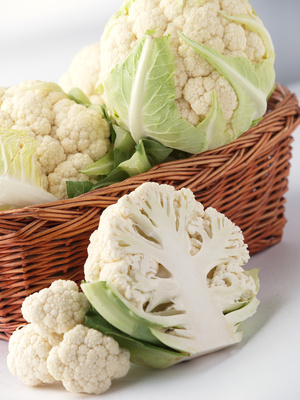 Break the cauliflower into small florets and chop the stem. Add cauliflower sage and salt to the boiling water and allow it to return to a boil. Add the millet. Reduce the heat and allow the mixture to simmer covered for 30 -40 minutes. The dish is done when the millet is soft and the cauliflower breaks apart easily with a fork. Remove the sage sprigs and add the butter. Mash the mixture with a potato masher or hand mixer until creamy, adding more water or milk if neccesary. Be sure to serve the mash while it is warm because it becomes very firm as it cools.